Home/Everything Dinosaur News and Updates, Main Page, Press Releases/Last Year’s Predictions – How did we do? Last Year’s Predictions – How did we do? At the beginning of each year, team members at Everything Dinosaur put their heads together and just for a little bit of fun, they have a go at predicting some of the news stories and events that they might report on in the year ahead. So with 2010 over and as we are looking forward to this year, it is time for a quick look back to see what predictions we made twelve months ago. How did we do with our 2010 predictions? Were we within a fossilised gnats nose or out by the length of a Diplodocid’s tail? Quite an eclectic mix of predictions, but how did we do? Our prediction regarding more auctions of dinosaurs and prehistoric animals proved to be quite accurate with a number of high profile sales in Europe and the United States. 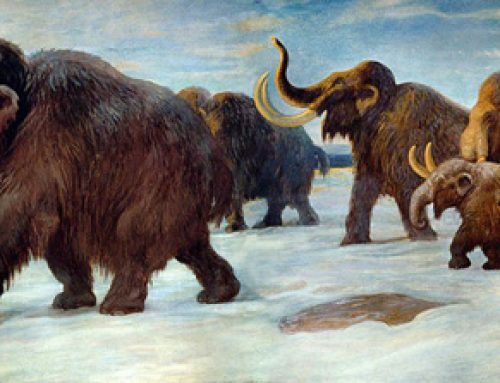 For example, in May we wrote about an auction of a range of prehistoric items, including T. rex teeth, the skull of a Cave Bear and the remains of a Woolly Mammoth. The prediction about pressure on museums to charge entrance fees, proved to be only partially correct. With the change of UK government we were aware that charging for museum entrance was discussed, but fortunately this policy was not put forward and no charging plans have been implemented – yet. Our predictions for “Dakota” the magnificently well preserved, Edmontosaurus “mummified” dinosaur fossil were partially accurate. There were a number of news stories published about how the research work was progressing and what plans were in place to display the fossil once the preparation was completed, but there were no “outstanding” new breakthroughs. Limits on funding and the problems caused by trying to analyse such a huge and unwieldy fossil put a check on progress. However, the dedicated team of researchers are still working on this very significant find and more information about this Hadrosaur will be, no doubt come to light shortly. As for our prediction regarding the prosecution of an American over a fossil related matter, we are aware of a number of incidents, but fortunately, the new laws and restrictions imposed by the United States seem to be having the desired effect. Which is more than can be said about Everything Dinosaur’s Trilobite hunt, we have yet to visit the location we had wanted to, but with a little better planning and time management we are hopeful to do some fieldwork at this particular site in the near future. Greater teaching emphasis for science – we were at a meeting in the Autumn at which individuals close to the UK Government briefed us on the situation regarding the need emphasis the teaching of science topics in school. School funding has been affected by the recession and the Government spending cuts, but we at Everything Dinosaur continue to lobby and to offer subsidised teaching of Earth Sciences. Fortunately, following a review, the plans to slash the science teaching budget have been put on hold, at least for the time being. Some good news then. The prediction about Everything Dinosaur’s web log reaching its 1,000 article landmark in March 2010 proved partly correct, albeit that the 1,000th article was published a little later than we predicted. We aim to publish an article, review, or photograph every single day (seven days a week). Our 1,000th article was published on April 17th, at present we are well on the way to publishing our 1,300th web log article. As for our prediction about a new species of Pterosaur (flying reptile) being announced, sure enough there were a number of new papers published, most notably perhaps the paper from a team of Irish scientists about a new genus of flying reptile we reported on in May, plus new research into how Pterosaurs launched themselves into the air. Giant flying reptile models even invaded London for a short time to help promote the 350th anniversary of the founding of the Royal Society. The black market in fossil sales continued to grow, despite increased activity by both internal and international security services. The smuggling of fossils and other ancient artefacts is big business and it is rare these days to hear of a fossil dig site in parts of the world such as India that is not raided at least once by trophy hunters, curious locals or professional fossil smugglers. Finally, with the world’s attention focused on South Africa for the 2010 World Cup we thought that we would have one prediction for this particular African country. True enough, there were a number of important discoveries reported upon. More ancient hominid remains and the evidence of early Jurassic dinosaurs being just two stories about the rich fossil record of South Africa published last year. We also ought to report on one extinction event that occurred in that country in the Summer – the extinction of England’s national football team after there insipid performance in the tournament. Sadly, England failed and once again, after all the hyperbole and expectations, our national football team did not deliver on the world stage. Trying to predict what will happen with the study of Dinosauria and other fossils over the next year is a difficult business, at least we won’t try to predict when England will win the World Cup, that would be just too difficult to contemplate.